The luxury apartment and hotel accommodation provided by the Mantra South Bank Brisbane is conveinetly located in fabulous South Bank precinct of Brisbane. The Mantra South Bank Brisbane Hotel have been designed to cater to the needs of corporate and holiday travellers and is within easy walking distance to the Brisbane Convention & Exhibition Centre, Queensland Performing Arts Complex, State Art Gallery, Museum and the beautiful South Bank and Roma St Parklands. 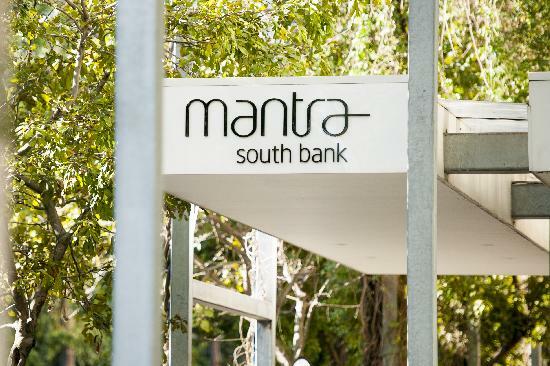 Combining a range of hotel accommodation, friendly service and a great location in Brisbane the Mantra South Bank Brisbane is the perfect place to stay. This affordable property also has lots of great facilities including lounge bar, currency exchange services, fitness equipment, lift, restaurant, room service, spa, outdoor swimming pool, tour desk, 24 hour reception, babysitting service and daily housekeeping. The Mantra South Bank Brisbane Hotel & Apartments caters for business corporate clients with wireless internet access in all hotel rooms and apartments, faxing facilities, photocopying service and conference facilities. The Mantra South Bank Brisbane Hotel is the perfect choice for discerning business and leisure travellers looking for comfort and convenience in Brisbane. 1 Bedroom Apartment City Views : Sleeps up to 3 guests on 1 King Bed Or 2 Single Beds + 1 Rollaway Bed. 1 Bedroom King/Twin Apartment : Sleeps up to 3 guests on 1 Queen Bed Or 2 Single Beds + Rollaway Bed. 2 Bedroom 2 Bathroom Apartment : Sleeps up to 5 guests on 2 Queen Beds + 1 Rollway Bed.